Though Smart debuted as a brand with a lot of promise in 1998, this promise has been broken by the unique vehicle’s growing pains. Dealing with short-lived attempts to expand the brand beyond the trademark Fortwo, Smart’s biggest hiccup is definitely the brand’s endeavour into the United States market. 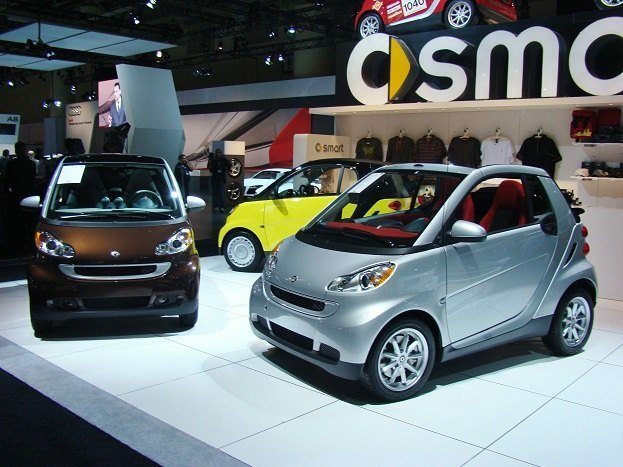 After an aborted effort when the ill-fated Daimler-Chrysler reigned, Smart finally gained official access to the United States in 2008 when Penske Automotive Group agreed to source the Smart Fortwo vehicles. However, perhaps due to the shaky entrance, enthusiasm for the Smart brand has been difficult to retain even as the popularity for smaller, urban-style vehicles is elevated. Sales of Smart car in the United States were down 34% making the present state of the brand like hazy. Showing struggles, it may surprise some that Mercedes-Benz USA is taking the Smart brand’s sales and distribution in the United States in-house. Set to complete in July, current distributer Penske Automotive Group will be relieved of the Smart overall placement in the country. In a procedure which will see 21 dealers (including 4 owned by the Penske Automotive Group) lose their franchise, the Smart Fortwo will have a more ideal home within the Mercedes-Benz dealership network. So what force is provoking Mercedes-Benz to takeover the Smart brand’s United States sales and marketing? Summing it up in one acronym, CAFE. In many previous years, luxury car makers like Mercedes-Benz elected to instead pay out considerable but manageable cash penalties rather than risk watering down the brand with a smaller, fuel efficient vehicle. IN 2006, Mercedes-Benz accepted a total $30.3 million penalty for their lineup of high fuel consuming vehicles. With new fleet fuel economy standards being phased in by CAFE for 2016, the new 34.1 mile per gallon mark requires a need for a more fuel-friendly alternative to the improved but still thirstier AMG engines. Presently featuring 41 miles per gallon in highway fuel economy, the Smart Fortwo is an ideal countermeasure to Mercedes-Benz’s larger sedans and utility vehicles. Helping Mercedes-Benz, this deal is likely to marginalize the Smart for the foreseeable future. Though the Electric Fortwo is still slated for distribution alongside the gasoline-powered Smart vehicle, this deal terminates a planned four-door model. Through a deal which was to have a United States-only Smart car built on the same architecture as the new generation Nissan Versa, it was hoped this larger product would have adapted better to the space criteria North American drivers desire. With the divesting of Penske’s management of the United States Smart distribution channel, Nissan is left with another soured deal for platform sharing. In another recent incident, Chrysler’s bankruptcy in 2009 and merger with Fiat ended joint plans with Nissan to build the next-generation Titan pickup. Under the guidance of Smart’s parent company, it is said at least 300 Mercedes-Benz dealerships in the United States will feature the Fortwo models to the remaining 58 Smart-exclusive dealerships. No Comments on "Mercedes-Benz Makes Smart Move in US"